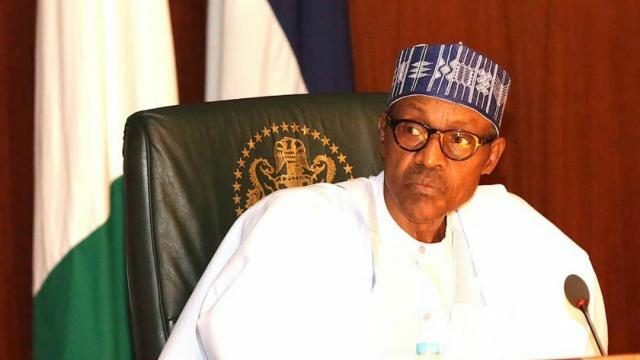 Muhammadu Buhari has revealed that he came back to power as a democratic president to convince Nigerians to make sacrifices for Nigeria’s future. The president said this during a dinner with the All Progressives Congress (APC) Aspirants Forum at the Presidential Villa on Tuesday, October 30, 2018. The forum is a group of APC members who are unhappy with the conduct of the party’s recently-concluded primary elections and are rumoured to be planning to dump the party. In a statement signed by the president’s Special Adviser on Media and Publicity, Femi Adesina, Buhari urged the aggrieved party members to be patient in service of the nation. Buhari served as Nigeria’s military Head of State between 1983 and 1985 before he returned as a democratic president after his victory in the 2015 presidential election. While noting that not everyone will be appeased by the party, he urged aggrieved members to maintain faith in the party and the country. He said the primary motivation to contest elections should be to improve the country and vowed there will be more future opportunities for them to serve the nation. He said they must be vigilant and not associate with people of questionable integrity in their bid to achieve political convenience. “Those who mismanaged the resources of the country are still very much around, with incredible wealth,” he said. He said the future of Nigeria will only be salvaged by those who love the country.